Welcome to the eleventh edition of Sleaze Roxx Readers’ Top Twenty Albums! The Sleaze Roxx readers’ year end list is always interesting to see who will triumph to the top. Will it be older established bands who are producing new but arguably subpar music compared to back in their glory days and riding the wave of their heyday popularity decades later? Or will it be young hungry emerging new bands who are producing arguably the best music these days? Just like last year, it is an older well established iconic group taking top honours even though you’ll be hard pressed to find any fan of that great band stating that the group’s latest album is even among the top half of the albums that it has come up with in its 30 plus year career. There are lots of familiar names on this year’s readers list and only two bands with debut albums figuring on the list. That shows you just how hard it is for new bands to break through as I suspect that a good portion of Sleaze Roxx readers tend to stick with the tried and true, and only really listen to the groups that they have grown up with. Hell, I was guilty of that until I discovered the Sleaze Roxx site back in or around 2006. Without further ado, here is the Sleaze Roxx Readers’ Top 20 Albums of 2016! For some, seeing Metallica topping the Sleaze Roxx Readers’ Top 20 Albums of 2016 may seem rather surprising. This is especially so when you consider that the thrash metal giants do not get that much coverage on Sleaze Roxx compared to other websites. However, the reality is that the group is simply likely the most popular heavy metal band around these days. Metallica have broken down so many barriers for heavy metal bands worldwide and along with Iron Maiden, seem universally liked by most metal fans, no matter what sub genres they are really into. 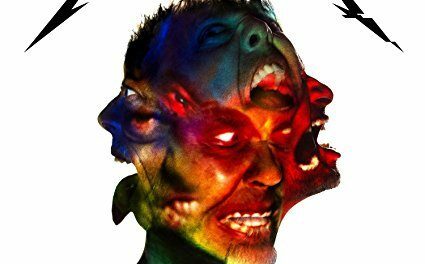 Is Hardwired…To Self-Destruct Metallica‘s best album? Far from it actually and it is likely that the heavy metal giants will never be able to come up with an album as good as their first five — Kill ‘Em All (1983), Ride The Lightning (1984), Master Of Puppets (1985), …And Justice For All (1988) and the Black Album (1991) — the “Big Five” if you will. Nevertheless, Metallica‘s popularity seems to be on an almost constant uphill climb despite some missteps along the way. 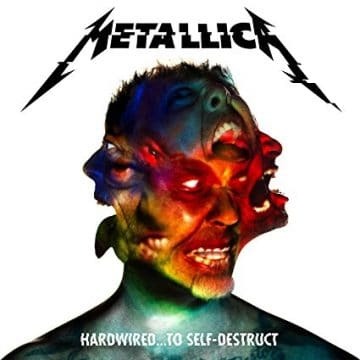 It probably helps that the group is taking more and more time between new studio album releases, with Hardwired…To Self-Destruct taking eight years to follow up Death Magnetic, which only helps to build the anticipation for the next Metallica album. If we can’t get a new Danger Danger album, what would be the next best thing? How about a debut album from a new group called The Defiants consisting of two current Danger Danger band members (bassist Bruno Ravel and guitarist Rob Marcello) along with former Danger Danger lead vocalist Paul Laine? 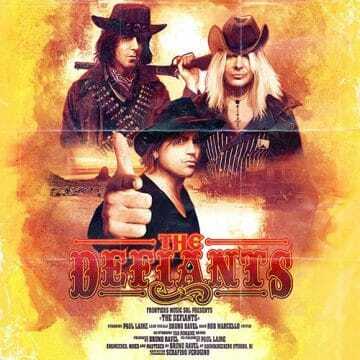 The Defiants‘ self-titled debut album is a pure 100% melodic rock record that obviously resonated with Sleaze Roxx readers given that it was very close to snagging the number one spot. One of the hardest things for bands that sold a lot of records back in the ’80s and early ’90s is coming up with new material that measures up to previous albums that fans still revere to this day. Rather than face the ghosts of the past, it makes sense for artists such as Ravel and current Danger Danger frontman Ted Poley (with his new project Tokyo Motor Fist) to form new groups and continue to release music in the same vein. The Defiants‘ self-titled debut album is proof positive that you can branch out from your past and still successfully come up with music that resonates with fans. Probably the best news for lovers of The Defiants‘ debut album is that the band is apparently planning a sophomore album with new ideas supposedly getting exchanged in the early part of 2017. Shock guitarist John Tennant‘s theory is that a musician usually has three “great” albums in them. If that’s the case, it appears that singer John Corabi has just met his quota with The Dead Daisies‘ third album Make Some Noise. After being part of The Scream‘s much revered self-titled debut album and Mötley Crüe‘s self-titled and only album without Vince Neil, Corabi has hit the nail on the head one more time fronting The Dead Daisies. Make Some Noise is a pure ’70s sounding hard rock record that has been receiving rave reviews ever since it was released. How come Corabi‘s first album with The Dead Daisies — Revolucion (2015) — did not resonate with Sleaze Roxx readers and Make Some Noise reaches the #3 spot on the year end readers’ tally? The major change this time around for The Dead Daisies is that guitarist Doug Aldrich is in the band with guitarist Richard Fortus and keyboardist Dizzy Reed leaving the group to take part in the Guns N’ Roses‘ reunion. Given Aldrich‘s songwriting contributions to the two stellar Whitesnake albums — Good To Be Bad (2008) and Forevermore (2011) — it’s not surprising to see that he has taken The Dead Daisies to that next level. 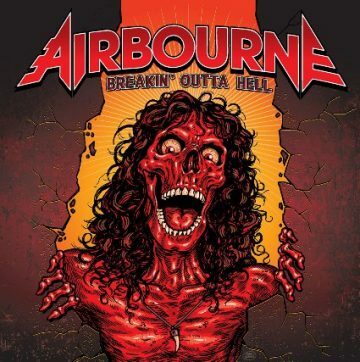 Frankly, I thought that Airbourne‘s Breakin’ Outta Hell might well take the #1 spot on the Sleaze Roxx Readers’ Top 20 Albums of 2016 but finishing #4 is still very impressive. It’s actually the highest finish for the Aussie rockers on the Sleaze Roxx readers’ year end lists with the band inching a little higher each year given that Runnin’ Wild finished at #12 in 2007, No Guts, No Glory ended up at #9 in 2010 and Black Dog Barking finished at #7 in 2013. Although Airbourne have often been compared to Aussie giants AC/DC, the fact is they play a much faster and rougher version of rock n’ roll than the latter. I think the one true common denominator between both bands is that they are very consistent from one album to the next refusing to reinvent the wheel and just delivering the goods time and time again. Off the top of my head, I believe that Airbourne is also the only band to ever have its first four albums featured on the Sleaze Roxx readers’ year end lists, which speaks volumes about how good the group’s music really is and that consistency which I have already alluded to. Will Airbourne‘s next studio album capture top spot on the Sleaze Roxx readers’ year end list? Only time will tell but I wouldn’t bet against it! Twisted‘s Dancin’ On Chaos is definitely the surprise finish on the Sleaze Roxx Readers’ Top 20 Albums of 2016. It’s not that the five song EP isn’t worthy because I really liked the record and even chose one of the songs on it to be part of the Sleaze Roxx’s Ten Great Songs from 2016 (thus far). What is surprising is how the album landed the #5 spot. Dancin’ On Chaos is the only album that only received number one votes from Sleaze Roxx readers and many of the votes seemed to come from people with Italian type names (from multiple e-mail addresses), which happens to be Twisted‘s country of origin. I have no idea if Twisted had a part in it but it seems that there was some sort of organized attempt by Twisted fans to vote Dancin’ On Chaos to the top of the Sleaze Roxx Readers’ Top 20 Albums of 2016. While everything was done within the voting rules established by Sleaze Roxx, it does cause some concern that Dancin’ On Chaos‘ finish at #5 is not purely “organic” and more contrived than anything else. 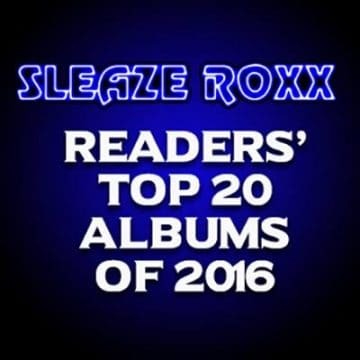 In addition, if you take a look at all the other bands that are featured on the Sleaze Roxx Readers’ Top 20 Albums of 2016, all either had at least one prior album under their belts or they have group members that gained some notoriety in prior bands. 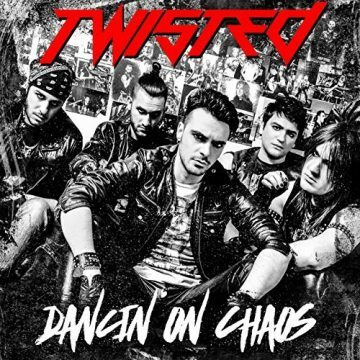 At the end of the day, I’ll likely never really know whether the votes for Dancin’ On Chaos were contrived or not but whatever the case, it’s an impressive finish for Twisted‘s debut EP. 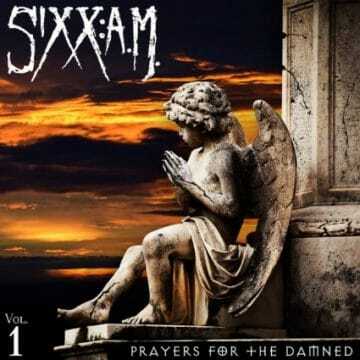 Seeing Sixx:A.M.‘s Prayers For The Damned Vol. 1 album finish at #6 is a huge surprise for me for two reasons. First of all, I wasn’t that fond of the album and second of all, the group’s subsequent release Prayers For The Blessed Vol. 2 didn’t make the cut on the Sleaze Roxx Readers’ Top 20 Albums of 2016. I would have thought that both albums would have charted if one notched the #6 spot on the readers’ year end list. One thing in certain, bassist Nikki Sixx has a lot of fans out there due in large part to his days in Mötley Crüe so with the latter calling it a day back on New Year’s Eve 2015 and no new studio album since Saints Of Los Angeles (which reached #1 on the Sleaze Roxx Readers’ Top 20 Albums of 2008), it becomes evident that a lot of Sixx fans are hungry for whatever new material is coming from the man. Prayers For The Damned Vol. 1 is Sixx:A.M.‘s second highest charting album on the Sleaze Roxx readers’ year end lists with The Heroin Diaries Soundtrack ending up at #4 in 2007, This Is Gonna Hurt finishing at #10 in 2011 and Modern Vintage taking the #12 spot in 2014. If anything, this confirms my thoughts that Prayers For The Damned Vol. 1 is the best album that Sixx:A.M. have come up with since their debut album in 2007. Given the way the voting turned out for Twisted‘s debut EP, NiteRain‘s sophomore album Vendetta ending up at #7 is the most impressive finish out of all the results on the Sleaze Roxx Readers’ Top 20 Albums of 2016. Hailing from Norway, NiteRain continue to impress from being voted in to play at the Sweden Rock Festival in 2016 to being featured on prominent festival bills in the last few years such as the UK’s Hair Metal Heaven, USA’s Rocklahoma and Norway’s Tons Of Rock Festival. Clearly, the Norwegian rockers are doing something right and its starts with their music, which places the emphasis on melodies and harmonious backup gang vocals. 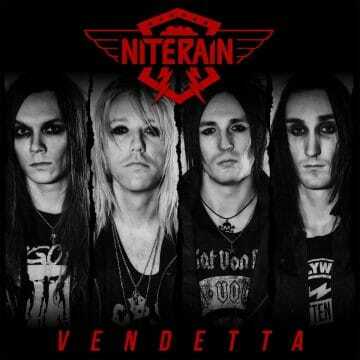 NiteRain‘s sophomore effort Vendetta picks up where their debut Crossfire left off and the band simply delivers a rocking album from start to finish. With the band seemingly getting bigger and bigger popularity and exposure wise, it will be interesting to see if 2017 is the year that NiteRain break through in a big way. Whatever the case, NiteRain appear to have a bright future ahead of them given that their foundations (i.e. their songs) are rock solid. Danger Danger frontman Ted Poley is back with a solo album effort on a Sleaze Roxx readers’ year end list after an 11 year absence! 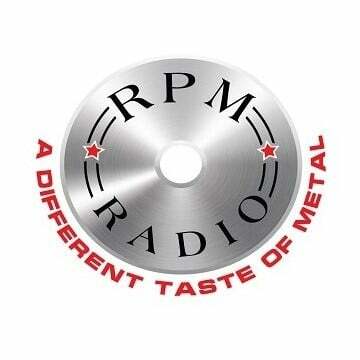 The last time that Poley charted was with Collateral Damage that reached #18 on Sleaze Roxx’s Top 20 Albums of 2006. Of course, Poley only released one other studio album (Smile in 2007) before releasing Beyond The Fade in 2016. Clearly, Sleaze Roxx readers have been clamouring for some Poley material, or perhaps secretly waiting for some new Danger Danger songs, as Poley‘s latest solo effort charted very well on this readers’ year end list. The reality is that Beyond The Fade sounds an awful lot like Danger Danger. This is not surprising since Poley is singing and he hasn’t strayed away from his melodic roots on his latest solo effort. The fact that Poley‘s Danger Danger bandmates Bruno Ravel and Rob Marcello have also charted very well with The Defiants‘ debut album suggests that a new Danger Danger record would likely be welcomed with open arms. In the meantime, Danger Danger fans will apparently get their fix with Poley‘s solo record, The Defiants and Tokyo Motor Fist — Poley‘s new joint venture with Trixter guitarist Steve Brown. 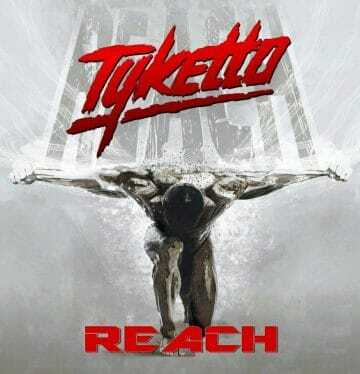 Tyketto‘s Reach is the highest charting album on the Sleaze Roxx Readers’ Top 20 Albums of 2016 to not receive a review in 2016. 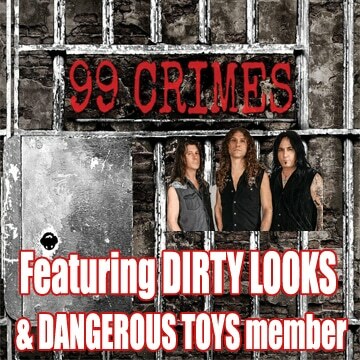 This is not by design but simply because no one at Sleaze Roxx got around to reviewing the album yet! Perhaps part of the problem is that Tyketto experienced a setback as just when Reach was released, the group elected to cancel its upcoming fall tour dates due to two family emergencies. Out of sight, out of mind. Reach is really a landmark album for the hard rockers as the band released its first video in 22 years in support of the record and is the first album without guitarist Brooke St. James and also did not include long-time bassist Jimi Kennedy. In addition, Reach is the debut for new Tyketto band members — guitarist Chris Green, bassist Chris Childs and keyboardist Ged Rylands. One thing is for certain, Tyketto‘s Reach provided one of the finest singers — Danny Vaughn — with the chance to shine once again. Hopefully, we do not have to wait too long for th next Tyketto record. With Ronnie James Dio having passed away, two different factions have emerged to continue his legacy one way or another. You have the Dio Disciples spearheaded by former Dio members — guitarist Craig Goldy, drummer Simon Wright and keyboardist Scott Warren along with various guest singers such as Tim “Ripper” Owens, Oni Logan and Mark Boals. You also have Last In Line started by ex-Dio band members — guitarist Vivian Campbell, drummer Vinny Appice and bassist Jimmy Bain along with singer Andrew Freeman. Unlike Dio Disciples, Last In Line have actually come up with and released their own original material so that they do not end up just being a tribute band for the deceased powerhouse singer Ronnie James Dio. 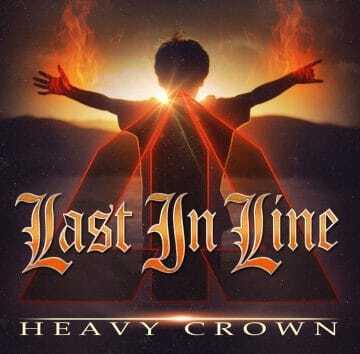 While the songs on Last In Line‘s Heavy Crown definitely have some Dio elements to them, Last In Line have really forged their own identity while being able to take advantage of their Dio lineage to sell records and gain widespread exposure. Sadly, Bain passed away shortly before the release of Heavy Crown but his music and spirit live on. 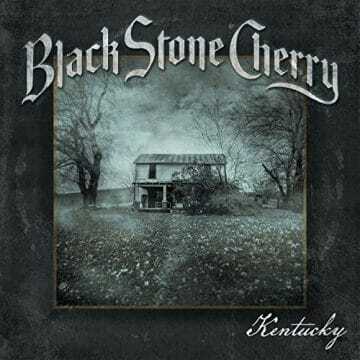 One band that I have never gotten into is Black Stone Cherry but clearly, there are many Sleaze Roxx readers who are into them. The group has been around for sometime with its origin dating back to 2001. This year is also not the first time that Black Stone Cherry have charted on the Sleaze Roxx readers’ year end list as the group’s 2011 album Between The Devil & The Deep Blue Sea reached #18 that year. This year sees the hard rockers pay tribute to their origins with their aptly named album Kentucky and they were one first place vote from cracking the top 10! What this makes me realize is that I should be paying closer attention to Black Stone Cherry and giving them another chance. Any album that gets voted to #11 on the Sleaze Roxx Readers’ Top 20 Albums of 2016 deserves to be checked out once again. Perhaps it is the “modern” sound of the band that scared me away the first time but whatever the case, this will be an album that I will be revisiting. 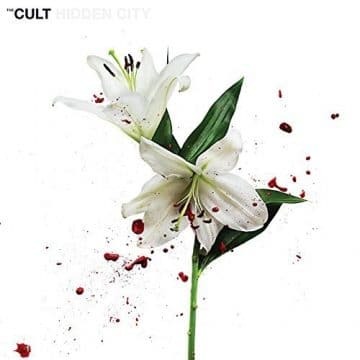 To me, The Cult‘s Hidden City is one of the surprise finishes of the Sleaze Roxx Readers’ Top 20 Albums of 2016. Not only did The Cult finish in the readers’ top 20 albums for the first time (with 2007’s Born Into This and 2012’s Choice Of Weapon not charting) but their latest release almost made the top ten. Personally for me, The Cult have never been the same since their “big two” albums — Electric (1987) and Sonic Temple (1989) — and I have lost interest in them ever since that time. Singer Ian Astbury and guitarist Billy Duffy have kept the flame going for the band despite not even hitting gold status with any of The Cult‘s last four albums in the last 15 years. While The Cult may not be achieving record sales or even “decent” sales by ’80s standards, they did land the opening slot for the most highly coveted tour of the summer — Guns N’ Roses‘ Not In This Lifetime tour. That may well be the real catalyst why a The Cult album is all of a sudden figuring so high on a Sleaze Roxx readers’ top 20 albums year end list. 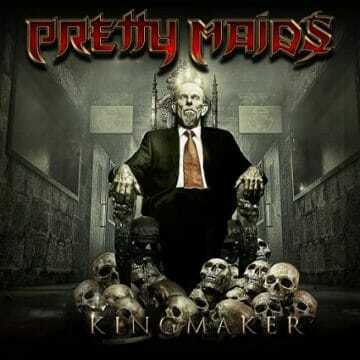 There are only three albums on the Sleaze Roxx Readers’ Top 20 Albums of 2016 that did not receive an album review from Sleaze Roxx and the Pretty Maids‘ latest release Kingsmaker is among those three. Just like Tyketto‘s Reach album, this is not by design but rather that Sleaze Roxx simply did not get around to reviewing the Danish rockers’ latest salvo of metal music. With a 30 plus year history under their belt, Pretty Maids continue to defy father time by seemingly putting out quality album after another. Kingsmaker is the group’s second album to finish in a Sleaze Roxx readers’ year end list with Motherland finishing at #16 back in 2013. I got to say that I am surprised that Pretty Maids singer Ronnie Atkins‘ other 2016 release — Nordic Union‘s self-titled album with guitarist Erik Mårtensson — didn’t make the cut as I would have picked that album over the Pretty Maids‘ Kingsmaker myself but the Sleaze Roxx readers have spoken! Enough said! The Treatment have shown no signs of slowing down despite replacing lead vocalist Matt Jones with Mitchell Emms and bringing in guitarist Tagore Grey‘s younger brother Tao Grey as the group’s second guitarist. I am sure that a lot of other bands would like to rebound as nicely as The Treatment did with such key line-up changes. Generation Me is simply another great album from the UK rockers after their first two albums, This Might Hurt (2011) and Running With The Dogs (2014). 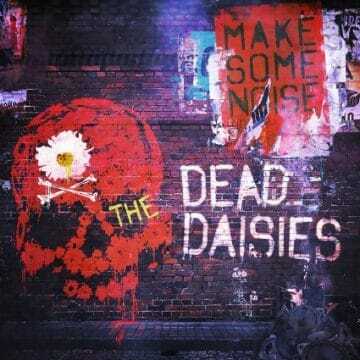 Generation Me is also one of only three albums — along with The Dead Daisies‘ Make Some Noise and Airbourne‘s Breakin’ Outta Hell — to figure as well in Sleaze Roxx’s Top Ten Albums of 2016. This is the second time that The Treatment complete the year end “Sleaze Roxx double” having done so as well with their debut album back in 2011. 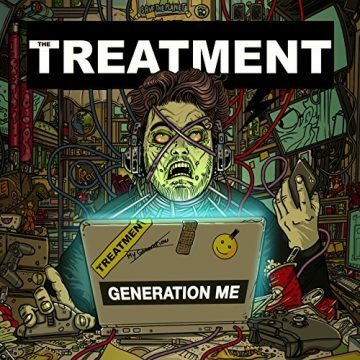 Can The Treatment come up with a fourth great album in a row? I am definitely not betting against them in that regard. The Last Vegas are not content to rest on their laurels and are willing to change it up, grow and experiment from one album to the next. That is definitely the case with the Chicago group’s most recent album Eat Me, which runs the gamut from ’60s sounding Beatlesesque tracks to darker Marilyn Manson like songs. Eat Me definitely covers a lot of ground, which may explain why The Last Vegas have been unable to reach the pinnacles of years past with Sleaze Roxx readers. It seems almost hard to believe that The Last Vegas charted at #6 in 2012 with Bad Decisions and #7 in 2009 with Whatever Gets You Off. 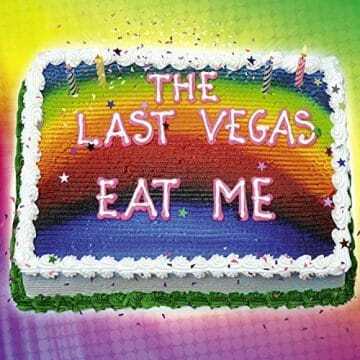 With 2014’s Sweet Salvation not having charted in the Sleaze Roxx readers’ top 20 albums, The Last Vegas‘ subsequent album Eat Me finishing at #15 this year has to be seen as a comeback of sorts in any case. One thing is for sure, The Last Vegas march to their own drummer and who knows what their next album will sound like. As I was looking into Reckless Love‘s history with Sleaze Roxx, I was surprised to learn that Reckless Love have matched Airbourne in having their first four albums chart on the Sleaze Roxx readers’ top 20 albums year end lists. The big difference between the two bands is that while Airbourne keep inching forward closer and closer to the top of the readers’ year end chart with one album after another, Reckless Love seem to have come crashing down with their latest release InVader. 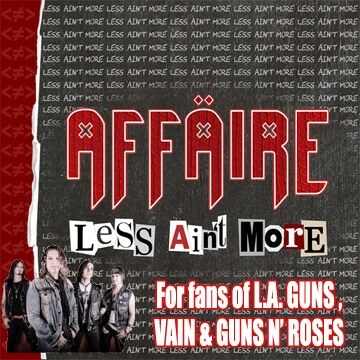 Reckless Love‘s first three albums charted very consistently among Sleaze Roxx readers with Reckless Love finishing #7 in 2010, Animal Attraction ending up at #5 in 2011 and Spirit closing in at #6 in 2013. This time around, Reckless Love finished “only” at #16 and really only a few votes away from not figuring at all on this year end tally. Why is that you may ask? 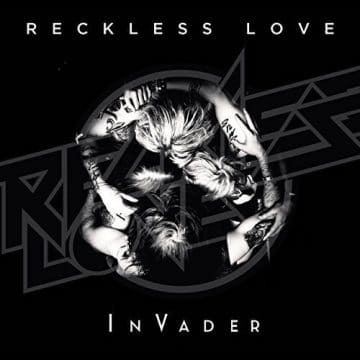 Reckless Love‘s InVader album just covers too much musical ground — from cool sleaze like anthems to unfortunately songs reminiscent of Lady Gaga, Hedley or Pet Shop Boys. By pushing the limits too far on their latest album, Reckless Love have apparently alienated part of their Sleaze Roxx followers. When you have a voice as great as Johnny Gioeli has, it should almost be mandatory that you should release a couple of albums per year. Gioeli truly has a voice that is one of a kind. He has seemingly taken full advantage of his God given talent releasing one album after another year after year and sometimes a couple per year especially in the last 15 years with Axel Rudi Pell, Crush 40 and to a lesser extent with Hardline and a few other projects. Human Nature shows that Gioeli made the right move in teaming up with keyboardist / producer Alessandro Del Vecchio once again to come up with an album that arguably takes melodic rock to that next level. 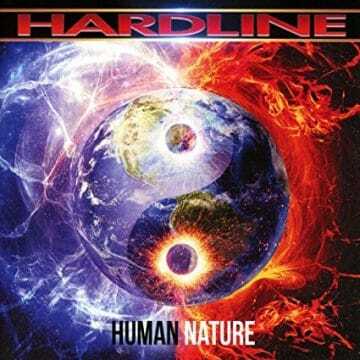 Tracks like “Where Will We Go From Here,” “Nobody’s Fool” and the stellar ballad “Take You Home” prove that Hardline still have a lot of life left in them and are likely the reason why the melodic rock group is figuring for the first time on a Sleaze Roxx readers’ top 20 album year end list. Hell In The Club have the impressive distinction of having all three of their albums figure on the Sleaze Roxx readers’ year end lists. The Italian rockers’ debut album Let The Games Begin ended at up #17 in 2011 while their sophomore album Devil On My Shoulder finished at #14 in 2014. Hell In The Club didn’t reinvent the wheel with Shadow Of The Monster and that is likely the reason that the group is rewarded with a third straight album on the Sleaze Roxx readers’ year end list. At this point, it appears that Hell In The Club are regular mainstays on the year end list so it will be interesting to see if they can crack the top 10 next time around. Whatever the case, there are only a few bands like Steel Panther, Airbourne and Reckless Love that have achieved the aforementioned distinction so Hell In the Club are in good company. Tigertailz‘s new studio album Blast coincided with the debut of Robb Wylde as singer for the band. The glam rockers previously had Wylde on rhythm guitar (2012-13) and then bass (2013-15) and now, he has taken on the lead vocal reigns. With future stints at lead guitar and on the drums, Wylde will be able to lay claim that he has held all positions in Tigertailz. Kidding aside, Tigertailz came back strong with their new studio record Blast. 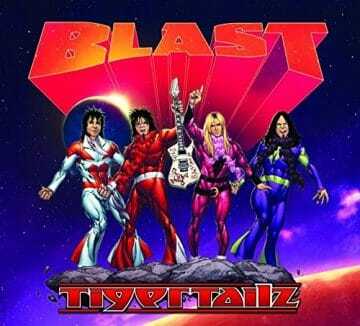 With bassist Pepsi Tate unfortunately passing away in September 2007, Tigertailz‘s Blast represents the first studio album to only feature one original Tigertailz band member (lead guitarist Jay Pepper). It’s also the first studio album from the band in about 10 years and since the release of Thrill Pistol in 2007, which happened to reach the #18 spot on the Sleaze Roxx Readers’ Top 20 Albums of 2007 and the #6 slot on the Sleaze Roxx’s Top Ten Albums of 2007. One very odd finish (to me) on the Sleaze Roxx Readers’ Top 20 Albums of 2016 is Testament‘s new album Brotherhood Of The Snake at #20. I say “odd finish” because Testament literally has gotten no coverage from Sleaze Roxx aside from a few things with the latest being a concert review (which included other bands) dating way back to 2010. 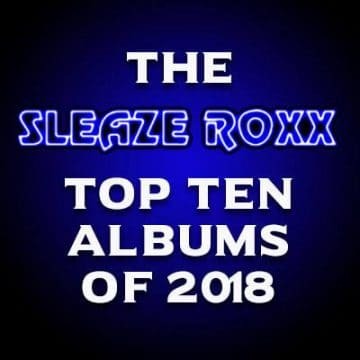 Perhaps that should change as not only were there a fair share of Sleaze Roxx readers into Testament‘s new record but three Sleaze Roxx contributors listed Brotherhood Of The Snake in their top five albums of the year! The reality is that Testament have been around for 30 years and Brotherhood Of The Snake is their eleventh studio album so it shouldn’t be that much of a surprise that the thrash metal giants would be on many of the Sleaze Roxx readers’ radars. 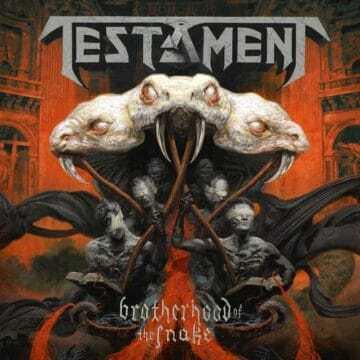 Testament continue to be one of the most consistent bands out there in terms of regular production as the group has released a new studio album every couple of years since 1987 except for the period between 1999 and 2008.